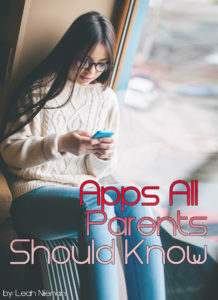 We all know that there are tons of apps geared to kids on the market today, but the truth of the matter is, most of those apps are not faith-based. The good news is that there are several Christian apps out there that are both engaging and educational, you just have to know where to look! In addition to apps that will help your child become better acquainted with the Bible, there are several wonderful Christian apps that provide quality children’s entertainment. As part of my 10 Best Apps series, I searched for the best Christian and Bible apps on the market today. These wonderful apps are available on a variety of platforms, making it simple for everyone to enjoy them, no matter what device you’re using. The most downloaded Bible on every device comes from Life.Church (which also owns the site Bible.com), and for good reason! In addition to the option to download the Bible in a variety of languages, this Bible app also includes a ton of reading plans ranging from dealing with anxiety and depression to becoming a leader through God. With this handy app, your older children can go from their desktop reading plans to reading on their Kindle or iPhone with ease. Their bookmarks and notes will also easily transfer from device to device, ensuring they’ll never lose their place again. They can also connect with their friends on social media by sharing their reading plan progress and sharing inspirational Bible verses as a visual meme. Preteens will especially love the Bible-related videos which make the Bible come alive. 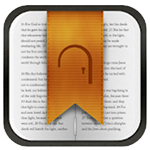 The icon for Bible By Life.Church almost suggests it is the most old and boring of all Bible apps. I’ll admit, that’s exactly what I thought. Trust me when I say this is a Bible app that’s anything but old and boring. The Last Supper, and many more. In addition to these interactive stories, the app also includes activities designed to help your children remember the details of each tale, including special challenges that let them earn rewards. Bible App for Kids is also available in a variety of languages. As one of the top Bible study sites on the web, Bible Gateway is often a go-to website for Christians. The app, connected with this helpful site, is also an amazing tool for Bible study for older children. The app allows you to bookmark passages, highlight text, and add notes as you read. And, you can share Bible passages with your friends via a variety of social networks through your device. Additionally, you can conduct a search of the Bible and set up your own reading plans through this handy app. You can even listen to an audio version of the Bible. The audio feature made this a winner for me when accessing Bible apps since I do much of my reading using audiobooks. The subscription costs $3.99 a month, but you can sign up for a 30-day free trial to see if it’s right for your child before buying. This wonderful app will help your child pray on the go. Whether you’re on vacation or sitting in the doctor’s office waiting room, Pray as You Go will help them pray whenever they find time in their busy day. This app creates a new prayer session each day by creating a framework for their prayers with a combination of music, scripture, and questions that will encourage them to reflect upon their life as they’re praying. Get the most popular versions of the Bible available today. The user-friendly menu gives you quick access to all the app’s features. A smart search option helps you filter results to easily find what you’re looking for. Take notes and highlight sections of the text simply. Enjoy daily reading plans that will expand your biblical knowledge. PocketBible from Laridian was a pioneer in the mobile Bible study arena, and their app has only improved over time. While the app does feature some free content, the more advanced tools available on PocketBible are part of the app’s subscription package, including Bible e-editions, commentaries, lexicons, and dictionaries. Enjoy thousands of faith-based and family-friendly entertainment options on any device with this app. PureFlix is the most extensive faith-based video streaming service on the Internet, featuring a huge selection of movies, TV shows, children’s programming, documentaries, educational videos, health and fitness programs, and Christian titles. Each video is delivered in high resolution through a user-friendly interface that can be navigated by anyone in the family. The streaming service offers exclusive original content, in addition to well-known titles like Veggie Tales, Akeelah and the Bee, Heartland, Left Behind, and Revelation Road. The best part about this Bible app are the stories. It’s filled with a variety of popular Bible stories your kids will love listening to, including the stories of Joseph, Jonah, David and Goliath, Noah, Daniel, Jesus, and Balaam. Adventures in Booga Booga Land, and many more. For a monthly subscription fee, users can also access a variety of other faith-based family resources aimed at helping your entire family strengthen your faith together in addition to the streaming service. Do your kids have a favorite Bible app? Share with me so I can add it to my list of Best Bible Apps for Kids! ARE YOU LOOKING FOR OTHER GREAT APPS? CHECK OUT MY BEST APP SERIES!